The UN Convention on the Elimination of all Forms of Discrimination against Women (CEDAW) is an international treaty on the human rights of women and girls, which defines discrimination against women, and lists what states need to do to end discrimination. Ireland signed and ratified CEDAW in 1985. 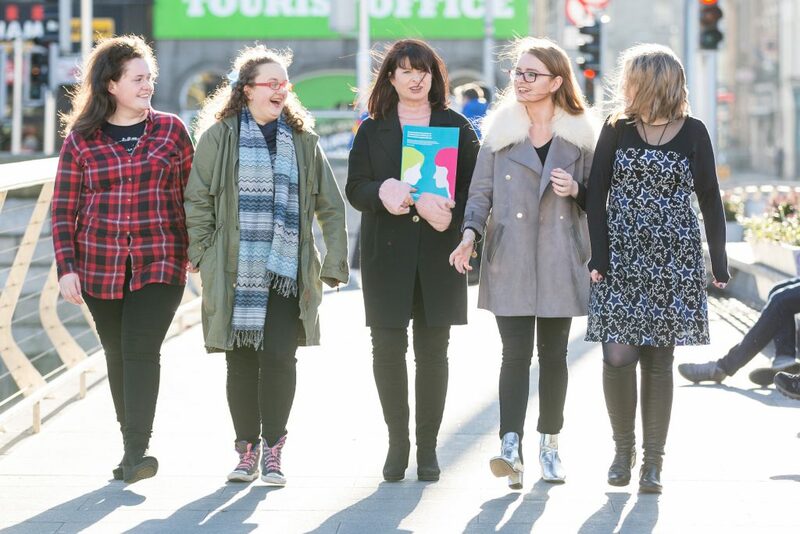 In so doing, Ireland committed itself to achieving equality between men and women in Ireland, including in the areas of political and public life, health, education and employment. Ireland also committed to having its record under the Convention reviewed periodically by the UN’s CEDAW Committee. Ireland was examined by the CEDAW Committee in February 2017. This was the first time the Committee examined Ireland since 2005. Following its examination, the CEDAW Committee published its Concluding Observations which provide the first evaluation in over a decade of the State’s progress in complying with the Convention. 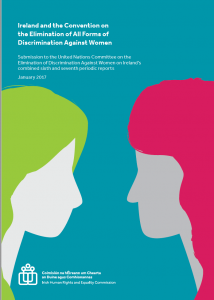 The Irish Human Rights and Equality Commission prepared a detailed report on Ireland’s record under the Convention to help inform the CEDAW Committee’s assessment of Ireland, and to highlight gaps in the protection of women’s rights in Ireland. This report was submitted to the Committee in advance of the State examination. 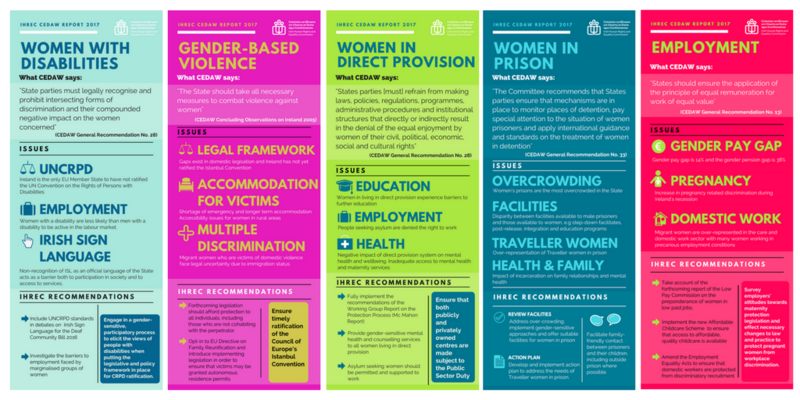 The CEDAW Committee published a ‘List of Issues Prior to Reporting’ in March 2016 which outlined its primary areas of interest for Ireland. The list can be downloaded here. To inform the Commission’s report to the CEDAW committee a national public consultation on women’s rights and gender equality was undertaken in summer 2016. 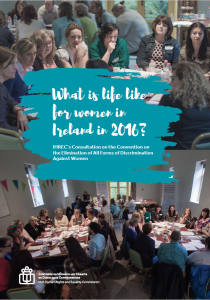 Read more about where we went, the people we met and the issues they raised in the story of our CEDAW consultation: What is life like for women in Ireland in 2016? 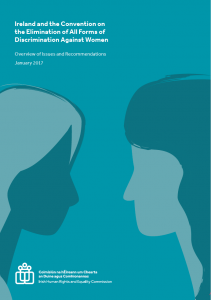 On Monday February 13, IHREC presented an oral statement to the UN CEDAW Committee in Geneva, outlining the key issues and recommendations contained in our report. On Wednesday February 15, the day-long State examination of Ireland took place. On the day of the State’s examination, the Commission hosted an all-day screening of the proceedings live from Geneva at our offices in Dublin 7. As a hub for the proceedings on the day, there were opportunities for commentators, media and anyone with an interest in the process to follow and discuss the examination and coordinate and develop responses together. Read the Commission’s press release regarding the examination.